We're committed to providing quality plumbing services to each and every customer. When it comes to bathroom and kitchen remodeling and repairs, VP Plumbing and Heating has you covered. 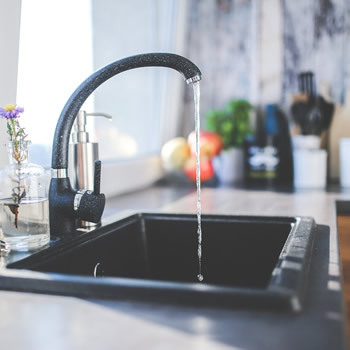 We are vastly experienced with kitchen and bathroom sinks, instant hot water systems, water filters, bathtubs, showers, toilets, piping, drainage, fixtures and much more. Understanding how to layout your fixtures in a bathroom or kitchen can be a challenge for homeowners, let's talk about the options for your project and choose the best locations and placements for your space. Before you begin your next repair or project, give us a call 516-659-3368 or contact us so we can discuss all of your options. 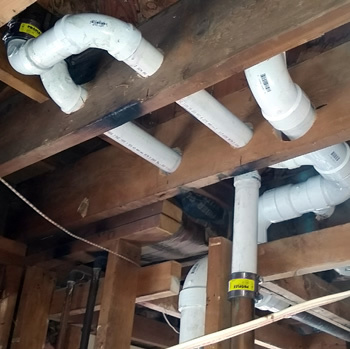 VP Plumbing & Heating, the Suffolk County plumbers, can handle everything from new construction, to tying into and repairing old caste iron waste lines with PVC piping and the appropriate fittings to handle the job. Gravity is the main element to handle the movement of waste, but proper ventilation and piping size are important elements to keep your waste lines functioning properly. Over time old copper pipes can breakdown from the inside from metal particles in our tap water (especially pipes that run horizontally). Identifying and replacing these pipes early can prevent serious damages to your home and personal property. We’re happy to assist you with your new projects or help correct old problems before they become much more serious. Remember, we're just a phone call away 516-659-3368, so feel free to contact us. Adding new appliances like a dishwasher or washer machine? Or maybe you’ve decided to add a new bathroom, or expand on your existing bathroom or kitchen? No matter what the job, we can run the appropriate piping to accommodate your hot and cold water requirements. 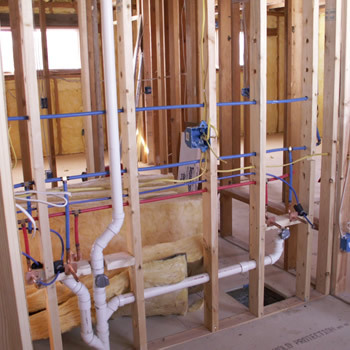 Our team is experienced with all types of water piping, the most common being Pex and copper. Depending on the situation, we can tap into existing lines in your system, replace/repair piping, and even run completely new piping when needed. No matter how large or small the project, we’re up for the task. Please give us a call 516-659-3368 or contact us and we’d be happy to discuss your needs. Most of your home uses gravity to move waste from your bathrooms to your cesspool, septic tank or sewers (depending on where you live). 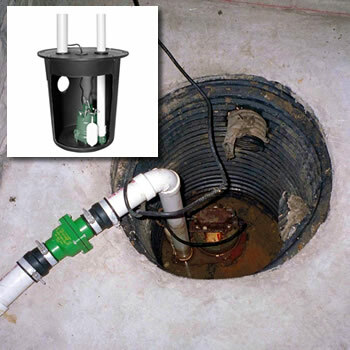 When dealing with basement bathrooms, ejector pumps are used to force waste and water up through the pipes of your septic system. If you’re thinking of adding a bathroom below grade in your home (like in your basement), you’ll want to talk to us about adding an ejector pump to replace the function that gravity provides for the rest of your plumbing system. In basements that are prone to flooding, or just for precautionary purposes, an ejector pit system can be installed to remove unwanted water from a flooding basement. These systems can also be used in conjunction with a French drain system when water problems spam across larger areas in a basement. For more information about ejector pump systems, please feel free to give us a call 516-659-3368 or contact us with any questions you may have.